Good Wednesday Morning To All Our Beautiful Brothers & Sisters of the Craft! Mabon Is Now Upon Us! 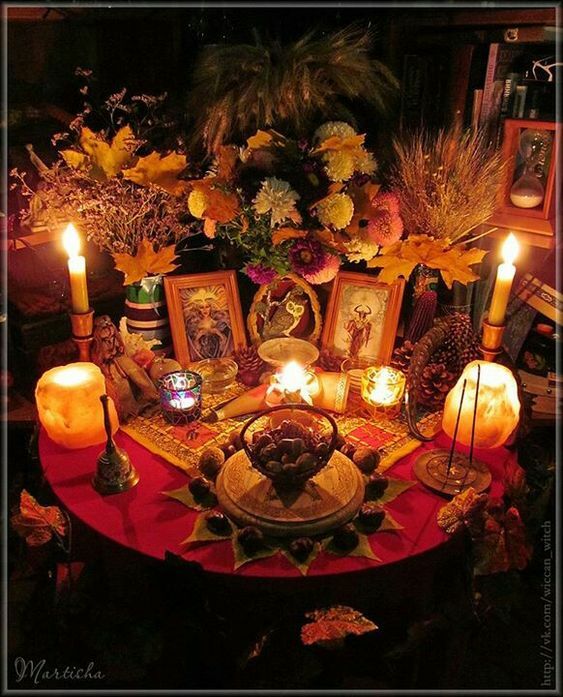 It should be noted that due to the various Traditions in our group, we have individuals who might celebrate Mabon today or on a different up-coming date. For us, we celebrate on September 21, even though they are saying Autumn Equinox is Saturday, we adhere to the Ways of Old. Due to various different dates, we all might celebrate, we like to get a jump start on each of our Sabbats. This is in order for you to collect your supplies, get new ideas and get your rituals ready. We hope you enjoy this edition of the Witches Digest. We will be including more ideas for you to celebrate Mabon tomorrow. So sit back and enjoy! Wishing you & yours a very bountiful second harvest! Happy Mabon! “The Wheel turns on – ’tis Mabon-tide. The Moon is in Virgo until 6:05 AM, after which the Moon is in Libra. The Moon is void from 1:29 AM to 6:05 AM. The Moon is waning and in its Waning Crescent phase until 1:29 AM, after which the Moon is waxing and in its New phase. The New Moon occurs early today, at 1:29 AM, in the sign of Virgo. Venus spends its first full day in Virgo (Venus is in Virgo September 19-October 14). Bread, nuts, apples, pomegranates, and vegetables such as potatoes, carrots and onions. Autumn Blend – benzoin, myrrh and sage. Sapphire, lapis lazuli and yellow agates. Autumn Equinox, around September 21, is the time of the descent of the Goddess into the Underworld. With her departure, we see the decline of nature and the coming of winter.This is a classic, ancient mythos, seen the Sumerian myth of Inanna and in the ancient Greek and Roman legends of Demeter andPersephone. 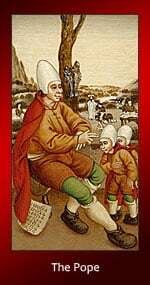 In September, we also bid farewell to the Harvest Lord who was slain at Lammas. He is the Green Man, seen as the cycle of nature in the plant kingdom. He is harvested and his seeds are planted into the Earth so that life may continue and be more abundant. principle seasonally withdrawn. Modron corresponds with Demeter. From the moment of the September Equinox, the Sun’s strength diminishes, until the moment of Winter Solstice in December, when the Sun grows stronger and the days once againbecome longer than the nights. Symbols celebrating the season include various types of gourd and melons. Stalk can be tied together symbolizing the Harvest Lord and then set in a circle of gourds. A besom can be constructed to symbolize the polarity of male and female. The Harvest Lord is often symbolized by a straw man, whose sacrificial body is burned and its ashes scattered upon the earth. The Harvest Queen, or Kern Baby, is made from the last sheaf of the harvest and bundled by the reapers who proclaim, “We have the Kern! ”The sheaf is dressed in a white frock decorated with colorful ribbons depicting spring, and then hung upon a pole (a phallic fertility symbol). In Scotland, the last sheaf of harvest is called the Maiden, and must be cut by the youngest female in attendance. *From “Celebrate the Earth” by Laurie Cabot,Green Witchcraft by Ann Moura, Llewellyn’s Witches’ Calendar 1998, and The Witches’ God by Janet and Stewart Farrar. Goddesses: Modron(Welsh), Bona Dea, Harvest Deities, Persephone, Demeter/Ceres, Morgan(Welsh- Cornish), Snake Woman(Aboriginal), Epona (Celtic-Gaulish), Pamona(Roman), the Muses(Greek). Begin at the entrance to your property that sees the most traffic. If you have a yard and house, this will likely be the end of the driveway, where it connects to the street. If you live in an apartment or town home, you may wish to use your front door, or the hallway in front of your door. You may want to put your supplies on a tray or in a bag, if you’re doing this alone. If you have other people participating, give each person some items to carry. You can do this rite at any time of the day, although evening may be better if you don’t want your neighbors to come over and ask what you’re up to. Place the bowl of earth at the entrance to your property. If you like, you can place it on a table, or you can just set it on the ground. Place your hands into the bowl, and feel the cool soil on your fingertips. Feel the energy of the earth, traveling from the ground, up into the bowl, through the dirt, and into you. Earth, symbol of security and stability, bring peace and harmony into my home at this season of thanksgiving. May my family be well, my house be a haven, and my table be one of hospitality. May the earth, the soil, the land, ground me and protect me and those whom I love, and that which I call mine. My property shall be a safe place, a secure place, a harmonious place for all those who enter. As I will, so it shall be. Iron spike, in the ground, protect my home, my family and me. Keep out that which would cause us harm. Repeat this with each iron nail or spike, until you’ve placed a protective barrier around your property. By now, you should have returned to your bowl of earth at the entrance. Dark and light, equal parts at the time of Mabon. Fire and earth, together. Balance, harmony, security, these things shall be mine. Even if you just live in one room of a home, you can still do this rite. Simply adapt it so that you’re going around the perimeter of the room, beginning with the doorway. Instead of pounding iron spikes into the ground, you can tuck a small nail up under the edge of the carpet. It has been pointed out that in some areas, the ground may freeze enough to push iron nails out of the ground, which could cause problems once things warm up – no one wants a small child to step on a rusty nail! If you live in an area where this may be a problem, you may wish to remove the nails at certain times of year, or at the very least, check to make sure they are securely in the ground. to the soil with a grateful heart. Pour out the wine into the soil or the secondary container. If you’re using the latter, you must take this outside after the ritual and pour it into the earth. Accept my offering as a gift to you and Earth. as the Wheel moves on. soon the crops fall to the snows. then return thrice-fold in times of need. nor comfort, while the land lies fallow. By your power, let it be so. Return the coins to the altar. After the ritual keep them in an accessible place and use them for random acts of kindness, such as putting a quarter into an expired parking meter. Your gifts to others, as the prayer says, will return to you three times over to meet your needs. The sun no longer reigns. Blow out the sun candle. with the brightness of enlightenment as a guide. Linger before the altar and consider any negatives in your life. Be honest with yourself here. Choose one on which to work for the remainder of the winter so that by Imbolc, it will be banished with growing light. “Today the wheel has come to a special point. there has been more light than dark. and tomorrow the dark half of the year will begin. That is why we celebrate today. It is the balance point between light and dark. It is the beginning of the return of cold and dark. “To the dark time as it comes in we say Welcome! and now Harvest is here. Wheat, the sacred grain of our ancestors. and the world grows darker still. and all our going out. You may actually want to leave them there at least until Thanksgiving, the Harvest Home of American culture. In fact, the first, solar part of the ritual can be celebrated on the equinox, and the second, harvest part on Thanksgiving. Save part of the bread for offerings to your household guardians and also for the spirits of the wild. and now it fades from the sky. Name Alban Elfed by the Druids and Mabon by the Welsh, the Autumn Equinox marks the completion of the harvest. Once again, day and night stand in balance with equal hours of light and darkness. As do most celebrations held around this time of the year, the Autumn Equinox focuses on the harvest, vest, the waning sun, and the onset of Winter. In the rural countryside, those who work the land come together to cut the last stalk of corn and sheaf of wheat. Following the gathering in of the last sheaf is Harvest Home, a huge supper or feast of roast beef, chicken, a stew of harvest vegetables, home-baked bread and cheese, and plenty of ale and cider. In Scotland, and parts of England, the man who cuts down the last sheaf is honored as lord and master of the harvest. The young woman who plaited the sheaf would be seated next to him and regarded as his consort. This incantation calls upon the goddess Morrighan, who is a Celtic deity of battle and sovereignty. As a goddess who determined kingship and land holdings, she can be called upon for assistance in protecting your property and the boundaries of your land. If you’ve been robbed lately, or are having trouble with trespassers, this prayer comes in particularly handy. You may wish to make this as martial as possible, with lots of banging drums, clapping, and even a sword or two thrown in as you march around the boundaries of your property. Restless, inventive, and mad as a spoon, September’s new Moon in Virgo offers fresh – sometimes startling – insights into current situations. A new Moon is always a time for fresh starts. In Virgo, those might be about well-being, organisation, routines, or even how we take care of our beloved pets. This new Moon encourages us to think about how all our little everyday rituals add up to influence our experience of daily life. Disruptive Uranus, planet of change, connects with the Moon, bringing unusual ideas and unexpected feelings to the surface. The Moon with Uranus represents unconventional families, challenges our assumptions about emotional relationships, and favours innovative swerves and intuitive light-bulb moments. None of these gifts come easily – we’ll need to experiment to find ways to balance things. Throwing out everything old and traditional isn’t necessarily a wise thing to do right now, but stubbornly refusing to try something new isn’t very helpful either. 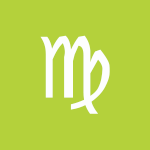 It’s an ongoing conversation with plenty of Virgo details and analysis during the month ahead. Whatever family means to us is emphasised by dwarf planet Ceres in the watery and caring sign of Cancer, making a dynamic aspect with the new Moon. Ceres in the Moon’s own sign makes a powerful statement about nourishment of mind, body, and spirit. Eating well is a big theme here, and maybe Ceres points towards the love and pleasure of food while challenging more rigid ideas about whether food is ‘clean’ or ‘dirty’. It’s time for a fresh look at food rituals and routines. Chiron in Pisces chips in here too, opposing the Sun and Moon and calling attention to that Virgo-Pisces service and sacrifice theme. The victims of unthinking conventions or outdated ideas can benefit from considering radical new solutions and embracing some imaginative problem solving. If we can work with this new Moon, some exciting changes to daily life can be seeded during September. Stunning insights are there for us, we just have ask ‘why not?’ and see where that might take us. 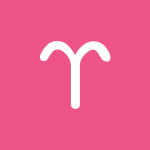 You have a powerful desire or need to pay more attention to details and/or to your work and health now, dear Aries, but these things can sometimes interfere with your feeling of freedom and independence. Working on finding a balance can help you tremendously when it comes to turning over a new leaf. This morning’s New Moon points to such a new beginning or turning point related to your habits, routines, health, and work. Consider what needs to go, whether this is about literal clutter or an attitude that hasn’t been serving you well. Find ways for getting on top of daily schedules and routines. However, keep in mind that while there is an excellent opportunity now for starting fresh, it’s important that your goals are gently challenging and reasonable enough that you don’t psyche yourself out before even starting! Pace yourself, but also believe in yourself. You may be holding onto or romanticizing something (or someone) from the past, and this is taking up psychic space that could be reserved for allowing something new and happy enter your life, dear Taurus. The New Moon occurring early today can bring opportunities to begin anew along romantic, creative, and playful levels, so any help you can give yourself now will bring rewards. In the coming weeks, you’re encouraged to explore your passions and creativity more heartfully, and it’s an excellent time for new love or a revamp of your roman for some. A new creative focus or a renewed interest in a hobby or creative activity can emerge and take over in a good way. This is the kind of energy that gets you out of bed more quickly in the morning. New opportunities or channels for expressing and enjoying yourself can open up to you. Venus has just entered this same sector, helping you along as you naturally attract who and what you want into your life. You may be feeling conflicted about whether to take a risk and move out of your comfort zone or stick what who and what you know today, dear Gemini. This dilemma is something you’d be wise to straighten out as a New Moon occurring today provides you the opportunity to start a new chapter of your life or to reach a critical turning point, particularly in your personal affairs, with family, and in your home life. This is an important time for taking charge and latching onto a solid goal or direction for making improvements to your support system and domestic world. For some of you, this can be a time for home projects or improved routines around the home. Matters of the heart, security, and comfort are in focus. If you need to reconnect with family, the coming days and even weeks are excellent for doing so. 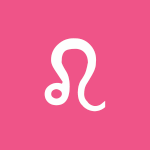 You’ve recently awakened to a stronger desire to reach out, learn, connect, and share your ideas, dear Cancer, and with today’s New Moon, you’ll feel more directed and in charge in these areas of life. Launching new projects and putting ideas into action will get the green light, but with the New Moon today, objectivity is not yet with you. Learning new or improving current skills can be in focus. For others, this is about making new acquaintances or connecting with others more meaningfully. Errands, emails, and other daily details are in the picture. You’re likely to feel more in charge and good about contributing. This can be a strong cycle for writing, speaking, and schooling, or for breathing new life into an old project. You’re making a difference with what you say or how you connect with others this month. There is a tendency to feel a little torn between the promise of life experience and the appeal of getting down to business today, Leo. However, even with some chaotic energy around you, there is a fresh feeling in the air. With a New Moon occurring early today, the coming week is active for beginning a new business, project, money-making idea, savings account, or budget — anything that helps you build up, manage, or take charge of your resources. This New Moon cleans the slate and opens doors for you in the areas of personal finances, talents, and resources. You have Venus transiting your house of resources now, and this helps move things along well. The New Moon early today occurs in your sign, Virgo, and it’s all about you! Venus has moved into your sign, and there is a tremendous showing in your sign today. In fact, the Sun, Moon, Mercury, Venus, and Mars are all in Virgo. 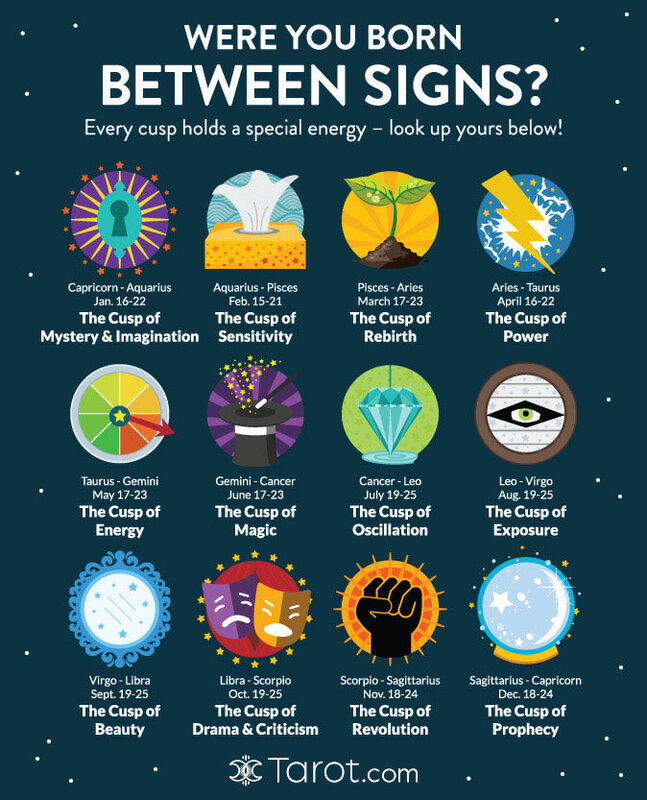 You receive a big power boost with today’s lunation. Personal plans will soon get the green light. As exciting as this fresh energy feels, be sure you don’t burn yourself out by pushing too hard or expecting instant results. If you don’t pace yourself, you could end up running out of steam and encountering opposition. This is a time for reinventing yourself in some meaningful way, or for a personal new beginning. Take charge of your life! However, do watch for a tendency to put yourself on the defensive today, as this will not get you anywhere. This is an excellent day, however, for learning something new. A New Moon occurs early today in the sign just behind yours, Libra, pointing to an excellent time ahead for cleaning house on an emotional or mental level. Events happening now remind you to slow down, reconsider, and process. You can come to meaningful conclusions about what projects or areas of life have run their due course. This is a time for freeing up emotional space to allow new energy into your life. Both mental and physical health are in focus now, and this is a time to start fresh on a new course of substantial improvements. Also today, someone can throw you off center with their actions, remind you of the past, or leave you feeling insecure. It’s a temporary issue, so try not to take things to heart! Today holds great energy for sorting out finances or debts. 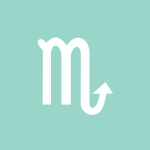 Venus has moved into your social sector, sweetening or smoothing out your social life, Scorpio. The weeks ahead can be good for connecting with friends, existing or new. The New Moon today occurs in the same sector, pointing to the chance for a fresh start or another form of a new beginning with friendships. Over the coming week, you can feel compelled to reach out to others or connect in new, improved ways with people you enjoy. This is also a time for a stronger focus on aspirations that feed your sense that you’re making a meaningful contribution to the world around you or that increase your optimism and feeling of satisfaction and happiness about your life. You are recognizing the value of the team, cooperating, and sharing. Worries about work can seep into your personal or social life today, and it can be difficult to enjoy yourself as a result, however. If you can find a way to enjoy a creative escape from stress, you’ll be in far better shape. 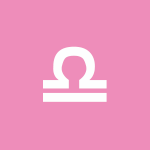 Adjustments may be necessary when it comes to dealings with a boss, parent, or family member, dear Sagittarius, but doing so helps you start fresh. A New Moon today points to the need to take charge and begin a new chapter of your life when it comes to your reputation, career, responsibilities, and how you present yourself to the world. It’s a good time for new goals, projects, and attitudes towards taking care of business. You have a strong showing of energy at the top of your solar chart, and with Venus here now, you’re in exceptionally good shape for smoothing over relationships with a boss, teacher, parent, or the public. Concerns about family or your insecurities can prevent you from straying too far from your routine today, yet you instinctively need to get away from it all, dear Capricorn. Working on satisfying your needs for both domesticity and exploration helps clear the path for new beginnings. The New Moon occurring early today motivates or prompts you to widen your experiences and deepen your understanding of your life’s purpose in the coming weeks. A change in the routine will refresh you now. Educational interests or travel may be in focus. This can be a time for pulling yourself out of your shell in pleasant ways and for building your faith in a plan for the future or gaining perspective on your life. 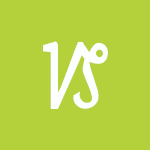 Meeting people who introduce you to new ideas, concepts, and even lifestyles can be in focus now, helped along by Venus now in this same sector of your solar chart, facilitating pleasant connections and meetups. 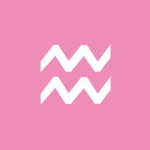 Try not to allow misunderstandings or discrepancies negatively impact your day, dear Aquarius, but if a tricky matter does surface, don’t shy away from it altogether, or you are likely to meet it again in the future in a bigger way. Things accumulate! As well, this is a time for a clean slate with a New Moon occurring early today that is a powerful motivator or prompter to start fresh. This lunation activates a part of your solar chart that rules many of the things that go on behind closed doors or deep inside of you. It can stir up your need or desire for intimacy and closeness, and also a willingness to get to the bottom of matters, including increased self-understanding. This is a good time for analysis, research, and investigation, as well as the beginnings of a project that requires dedication and concentration. Alternatively, something occurring around now can open your eyes to the need to handle debts or manage support and the sharing of responsibilities more effectively. Sorting out problems related to income can be important now, dear Pisces, as it can help clear the path for new beginnings with your relationship situation. This morning’s New Moon pushes a new burst of energy in the direction of close relationships and especially partnerships, which can be personal, professional, or in between! The weeks ahead are powerful for getting things sorted and clarified, and, for some of you, the next major level or step in a close connection. It’s also a time for pairing up for a common goal or working on your ability to balance, harmonize, and compromise with others for mutual benefits. There can be some impulsiveness today, so it would be wise to distinguish between making changes for the sake of change, and making changes that will truly propel you forward on an improved path. Venus has just moved into your partnership sector, and this transit, lasting until October 14th, can enhance relationships further. You seek security and harmony in your life, preferring to keep the peace than to deal with too much conflict. You have a gentle, peaceable manner. Intelligent and analytical, your opinions are strong although rarely forced upon others. Although generally quiet and likable, you have a strength of character that others sense. You have a straightforward manner, yet you are also magnetic and intuitive. Idealistic in love, it can take some time before you see a partner clearly. Famous people born today: Sophia Loren, Upton Sinclair, Alexander the Great, Jon Bernthal, Moon Bloodgood, Asia Argento, Anne Meara. If you were born on the Virgo-Libra cusp, from about September 19 to September 25, you’re a beautiful individual, inside and out! The energies of Virgo and Libra work nicely together to create very balanced people who are both intellectual and artistic. Individuals born on “The Cusp of Beauty” are ruled by communication planet Mercury and love planet Venus, which lends them the rational qualities of Virgo as well as the creative and social attributes of Libra — it’s the best of both worlds! Beauty cuspers are always up to date on the latest trends, and they love all things of beauty, including people, art and nature. They strive to keep their personal appearance and their home aesthetically pleasing, but they must avoid taking this too far at the risk of becoming superficial. In fact, most Virgo-Libra cuspers are not superficial at all! They are deep thinkers with sharp analytical skills and a strong work ethic, and that combination is a thing of beauty, indeed. Advice: Be careful of becoming too preoccupied with appearances and spending too much money on material things. Focus more on your spiritual side! Famous people born on the Virgo-Libra cusp: Trisha Yearwood, Adam West, Jeremy Irons, Twiggy, Jimmy Fallon, Sophia Loren, Upton Sinclair, Alexander the Great, Faith Hill, H. G. Wells, Larry Hagman, Leonard Cohen, Stephen King, Bill Murray, Ricki Lake, Nicole Richie, Tommy Lasorda, Joan Jett, Scott Baio, Andrea Bocelli, Mickey Rooney, Jason Alexander, Julio Iglesias, John Coltrane, Ray Charles, Bruce Springsteen, Ani DiFranco, F. Scott Fitzgerald, Jim Henson, Phil Hartman, Will Smith, Catherine Zeta-Jones, Heather Locklear, Mark Hamill, Christopher Reeve, Michael Douglas, Barbara Walters, William Faulkner. 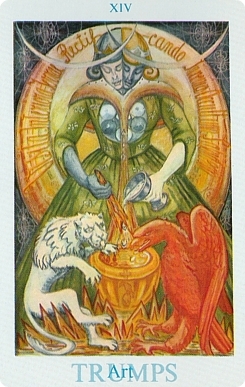 Venus is transiting your work and health sector until October 14th, Aries. 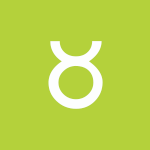 Even though this means Venus is no longer in a harmonious position relative to your sign, it’s a useful cycle for bringing more beauty, harmony, and enjoyment to your daily life, routines, or work environment. This can also be a time of better relationships with health professionals, employees, co-workers, and even pets! It can be a good time for partnering up to get work done or to pursue fitness programs with Venus and Mars in this sector of your chart, and eventually aligning in the first week of October, as well as for meeting friends or even a lover who has similar goals or work. There is an unusual focus on your routines, habits, health, and work these days. Cooperating with others brings work rewards. Today, you may be seeing problems or feeling overwhelmed, but could be hiding your difficulties from others. Try to share the load, or, if you just can’t bring yourself to do it, look for ways to reduce stress. The coming weeks bring new energy to your love life, dear Taurus, with yesterday’s New Moon clearing the slate as well as a Venus transit of your romance and creativity sector until October 14th. This is an excellent time for romance, dating, hobbies, self-expression, and sharing fun times with others. Your appeal is building. You not only share your affection more freely, but you also receive love and compliments more confidently. Mars is also in this sector, and especially as Venus and Mars build to a conjunction until the first week of October, you are powerfully creative and ready to make something exciting. Today, however, your desire for appreciation and admiration from others is so strong that it leaves you vulnerable to manipulation. Watch for repeating old patterns in relationships today. You need to breathe new life into your creative work and your relationships now for best results. Until October 14th, Venus transits your home and family sector, Gemini, where a New Moon just occurred. This augurs very well for your life at home! This can be a stable, cautious, or play-it-safe period for love, the pursuit of pleasure, and attitude towards money. You’re likely to bring more harmony, comfort, or beauty to your home. Real estate matters could be favorable now. In love, intimacy, familiarity, and trust are more important to you than change or excitement during this cycle. This is a great period for healing relationships and bonding with family. This can be a sentimental time, but watch today for excessive attachment to the past to the point that you don’t enjoy the positives of the present. 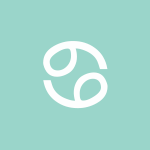 With Venus in your communications sector until October 14th, Cancer, you have a stronger need and ability to share your thoughts and feelings with someone special. It’s also a time for more charming and diplomatic communications. You seem to have special sway with others now. 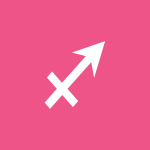 Mars is already in this sector of your solar chart, motivating you, and Venus here now helps boost the charm factor. The desire to create something special is building, and communicating is integral to your feelings of excitement, love, and appreciation. You may thoroughly enjoy your studies, games, learning, and connecting during this period. Today, watch for holding onto an idea or opinion too tightly, however. With Venus in your resources sector until October 14th, Leo, you’ew focusing on enjoying yourself, getting comfortable, and developing or building your resources. Love is more about security and comfort in the coming weeks. Getting along well with others can be one way to boost your business or income, and relationships already in place can benefit from steadier, patient energy. This is a great time of year for finding pleasure in the world of the five senses, enjoying simple pastimes and entertainment, and taking special care of prized personal possessions. There can be increased income for some of you, and for others, it’s a great time to enjoy, explore, and develop your talents. This morning, however, it may be difficult to see your desires clearly as you may be fixating on what you don’t have or short-term goals that are not particularly satisfying. Venus is now in your sign, Virgo, and will be your guest until October 14th. Not only was there a New Moon in your sign just yesterday, but this Venus transit also endows you with more confidence to express yourself and your affections. As well, people find you interesting and intriguing. Generally speaking, others are drawn to your natural qualities and personality traits quite naturally at this time. With Mars already in your sign, Venus helps to soften your manner and bring you an increase in attention of the positive variety! Love becomes far clearer and less past-focused. This is a time of living well and putting out the right kind of vibes that attract pleasant people and circumstances into your life. This morning, however, it can be difficult to see beyond immediate desires and sensations, and this can lead to chasing short-term goals that are unlikely to satisfy. As the day advances, though, patience increases and opportunities do, too. Venus is the latest of planets to move into your privacy and soul sector, Libra, and will stay here until October 14th. This cycle brings a little more mystery to your love life, feelings, and affections. It may not be the most upfront period for your love life or personality, but it’s the perfect time for releasing outdated attitudes and clearing space for new experiences and feelings to enter your life. There can be a greater love of private moments with a partner or secret admirers. You may be a little more tentative than usual about feelings and even purchases during this cycle as you instinctively sense that you’re not quite ready for brand new beginnings. You’ll have the Sun move into your sign tomorrow, pulling you out of your shell on some levels, but you’re keeping some things to yourself now. This is a time for sorting out your feelings. This morning, there is a tendency to make poor emotional decisions. Try to look past immediate desires, as these may be misleading. As well, avoid putting too much weight in hunches or observations until you get more proof. 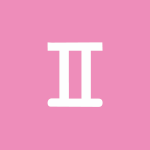 Venus is now transiting your friendship sector, Scorpio, and this helps soften your disposition with friends and networks. This transit is an enhancing one. You are a little more likable or attractive now, and generally framed well! Venus’ transit lasts until October 14th. Giving yourself and partners and friends freedom and emotional space is vital now. Downplaying ego needs comes a little more naturally than it did when Mars was here without Venus. Teamwork is favored, and friendships can get a nice boost. You are more willing than usual to accommodate, change, and grow in your interactions, and far less likely to stick with old patterns. This can pull some of you out of a rut on a social or romantic level. It can also be a good time for business income. This morning, however, you may be looking at situations through a suspicious or negative lens. Try not to make big decisions based on the feelings of the moment. As the day advances, you tap into your impressive ability to strategize. The weeks ahead can be most successful for your career or reputation, dear Sagittarius, with Venus at the top of your solar chart and the energy of yesterday’s New Moon affecting this area as well. Your ability to cooperate with and accommodate others can help advance your goals, smooth out relations with bosses, parents, and co-workers, and improve your public image, as well. You’re now bringing more charm and polish to relations on the job. Assertive Mars has been in this sector, and the addition of charming Venus here until October 14th can help balance out your approach to pursuing your goals. In fact, you’re sure to get very creative in the coming weeks. Social opportunities can emerge through your business or professional dealings, or you could be employing more diplomacy and people skills in the work you do. This morning, however, with Venus in minor challenging aspect to Pluto, it can be a little difficult to be objective when assessing the value of things, situations, projects, and even yourself, as your viewpoint can be skewed by insecurities, fears, and strong emotions. As the day advances, though, this tendency fades. Venus is now moving through your solar ninth house, Capricorn, and you can feel as if your feelings or love life is emerging into the light. In this cycle that lasts until October 14th, you’re less likely to linger or dwell on your feelings — or overthink them — as you tend to embrace the moment and express or act upon your affections. With Venus moving in harmony with your sign now, your natural qualities are more appreciated by others. You’re attracted to people, entertainment, art, and studies that feed your sense of adventure or excitement. You are more inclined to seek out the things and people that/who make you happy. Relationships are learning experiences to you during this cycle. Do be careful that you don’t set your goals so high that you can’t get any particular project off the ground, however. 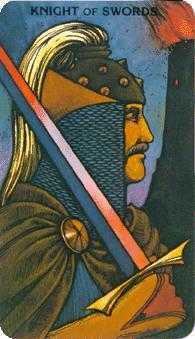 This morning, tension is likely as you wrestle with the desire to explore on the one hand and a compulsion to oversee what’s going on around you. With Venus transiting your solar eighth house until October 14th, Aquarius, you’re in a favorable position to work through the more complicated, intricate areas of your relationships that involve sharing and intimacy. As well, you can see more clearly into your own desires and motivations and arrive at a far better understanding of yourself. On a financial level, backing or support may be easier to come by, and this can also extend to emotional support. You might arrive at an attractive agreement now. You have far less interest in the surface of things in your relationships, and you’re inclined to dig deeper, looking for answers. While this is a good time to do this kind of digging, today you may be taking this too far. Try not to read so deeply into a situation that you lose objectivity. You’ll find you’re much more patient as the day advances. 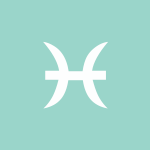 Venus is now transiting your partnership sector, Pisces, where she will visit until October 14th. A New Moon just occurred in this area of your solar chart, and with both of these events, you’re in an excellent position to make a fresh start in the relationship department. This is the perfect time for attracting the right people into your life or for enhancing your relationships — putting more of yourself, energy, and attention into your interactions. Others are more likely to help and support you. In turn, your sense of what people need is high. If you have any need for peace-making with others, this is a great time for doing so. People entering your life during this phase can be especially charming. You have a strong desire to please, but this morning, this may go a little too far. Keep in mind that this leaves you vulnerable to manipulation. As the day advances, your approach is far less superficial as you want to make deep, lasting improvements. 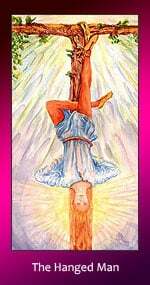 The Hanged Man selected you today because you need to look for the reasons why you are hung up or why your life is on hold. Perhaps you are with the right person but you can’t make love work? Possibly the two of you don’t know how. Or, you are with the wrong person and aren’t getting the love you want and need. Action is necessary. Just hanging around and thinking only complicates things. It is time to make a lover understand where you are going. It is time for you to understand where your lover wants to go in life. Will you go there together? Art denotes balance and harmony. The forces behind Art are those that keep us from succumbing to temptation or over-indulgence; steer us away from developing unhealthy addictions or behaviors. The Art driven Spirit avoids extremes, spreads harmony and brings opposing sides together. They find a happy, healthy median between what they want and what they need. Art provides an environment in which most will thrive, and a haven where the injured may heal, re energize. Through Art success and contentment are found by practicing self-restraint, and using balance to create your own “shelter from the storm.”. Wake up! 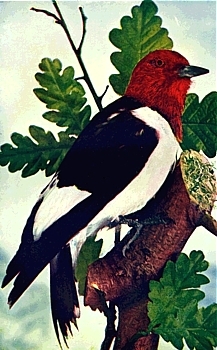 Woodpecker is tired of trying to get your attention, and will peck and peck and peck until you hear the message. You have received the answer to a major question time and again, but refuse to act on it. It’s okay to ignore a solution—but be forewarned that woodpecker will keep making racket until you make some movement forward! Now is a time for you to “sew up lose ends”. It will benefit you to finish any projects you have avoided completing, so you can move on to new and more fulfilling ventures. 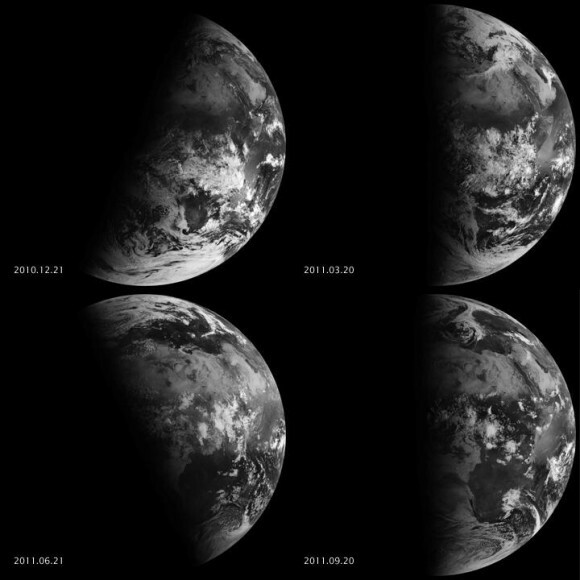 2017’s September equinox arrives on the 22nd. Happy autumn (or spring)! Our ancestors built the first observatories to track the sun’s progress. One example is at Machu Picchu in Peru, where the Intihuatana stone, shown above, has been shown to be a precise indicator of the date of the two equinoxes and other significant celestial periods. The word Intihuatana, by the way, literally means for tying the sun. Because Earth doesn’t orbit upright, but is instead tilted on its axis by 23-and-a-half degrees, Earth’s Northern and Southern Hemispheres trade places throughout the year in receiving the sun’s light and warmth most directly. At the equinoxes, the sun appears overhead at noon as seen from Earth’s equator, as the illustration at right shows. This illustration (which is by Tau’olunga) shows the sun’s location on the celestial equator, every hour, on the day of the equinox. Bottom line: Enjoy the 2017 equinox – a seasonal signpost in Earth’s orbit around the sun!